LEWISBURG — The Lewisburg Children’s Museum will soon be open in the former Lewisburg High School building. T-Ross Brothers Construction Inc. designed and built a tree house for the museum, which they donated and installed last week. The tree house will be part of a larger exhibit at the Children’s Museum, exploring animal habitats and nature in the Susquehanna Valley. T-Ross president Todd Ross said, “We are honored to be part of this exhibit at the Children’s Museum and we were so pleased to watch children enjoy our tree house.” The slide was donated by Playworld Systems of Lewisburg. 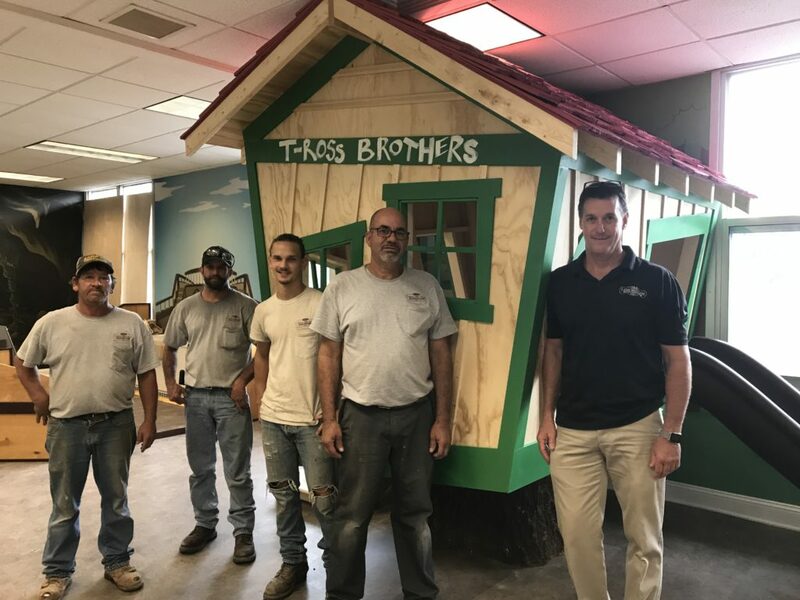 The post T-Ross Brothers designs and builds a tree house for the Lewisburg Children’s Museum appeared first on T-Ross Brothers Construction, Inc..